The Babine Mountains Recreation Area provides the visitor with varying terrain perfect for snowmobiling, skiing and snowshoeing. The Babine Mountains are the winter range for mountain goats. The area is located east of Smithers off of Highway 16. There are four main areas for smowmobilers to enjoy and numerous skiing and snowshoeing routes. The park area covers more than 19,000 hectares including Carp Lake, War Lake and numerous other lakes and streams making water activities the most popular pastime within the park. At McLeod Lake, 141 kilometres north of Prince George, turn off the John Hart Highway #97. It is 32 kilometres to the Carp Lake Campground. Two campgrounds offer a total of 102 sites, as well as wilderness camping. Trails connect with Rainbow Lake, McLeod River and two of Carp Lakes beautiful sandy beaches. The beautiful Crooked River Provincial Park is located on the Hart Highway #97, 70 kilometres north of Prince George and offers many popular sandy beaches. Crooked River, Squaw Lake and Hart Lake are popular with both canoeists and anglers. There is a 90 unit campground within the park and nine kilometres of trails where outdoor enthusiasts can discover the beautiful area and its abundant wildlife. Located 10 km (6 mi) east of Smithers off of Highway 16, the park is home to ancient fossil beds which were created by a shallow ocean millions of years ago and are exposed in the creek banks today. Picnic and day-use facilities are provided. 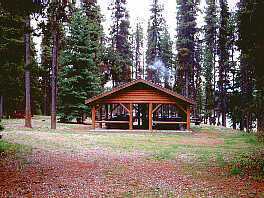 Located north of the community of Burns Lake on Pinkut Lake, this small camping and day-use area draws anglers to its exceptional rainbow trout fishing oppurtunities. 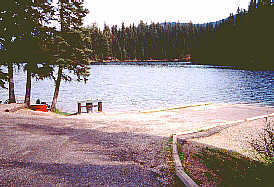 A boat launch is provided and the park is open from May to October. 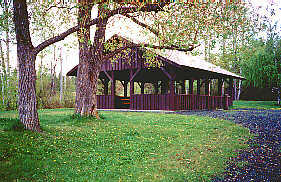 Located off of Highway 16 southwest of Terrace near where the Exchamsiks River joins the Skeena River, this park provides the visitor with a campground and day-use/picnic area. The old-growth Sitka spruce forest provides a relaxing setting where the visitor may try his luck for salmon, explore the area via an extensive trail system or by waterway. The park isd open from May to October. 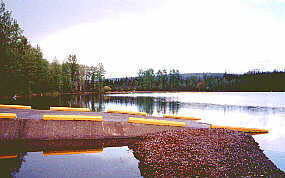 Finger-Tatuk Provincial Park is located 80 kilometres south of Vanderhoof and 115 km southwest of Prince George. Finger-Tatuk Provincial Park features a beautiful series of lakes and is a regionally significant recreational destination. The park surrounds Finger and Tatuk Lakes and extends south to include the smaller Turff, Vance, Cory, Bodley, and Harp Lakes south of the Tatuk Hills. Abundant populations of Rainbow Trout and Kokanee are the main attraction for anglers in the area. Guided and resident hunting and boating are also popular pursuits. The park is located south of Dease Lake community on Highway 37 and provides the visitor with a fully facilitated, 50 site campground, a boat launch, excellent swimming beaches and extensive trails to explore the surrounding area from. The lake provides the avid angler with excellent oppurtunity for rainbow trout. 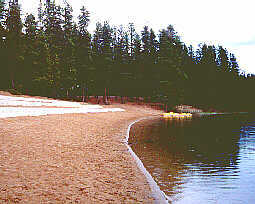 The Lakelse Provincial Park encompasses two seperate areas on the north and east shores of its namesake lake. 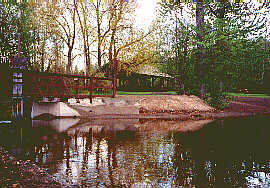 The waterways of the park are noted for their excellent swimming and fishing. 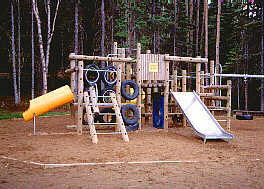 The park is located 25 km south of Terrace and 40 km north of Kitimat. Access to both sections of the park are possible from Highway 37, 20 km south of Terrace. Trails provide access to various beaches, picnic areas and notable features of the area. Here on the north eastern part of the Queen Charlotte Islands lies the Naikoon Provincial Park encompassing 72,640 hectares of Graham Island. The islands are accessible by scheduled flights from Vancouver and Prince Rupert and by BC Ferries between Prince Rupert and Skigegate. 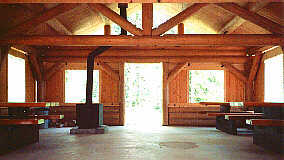 Agate Beach Campground has 43 units and Misty Meadows Campground has 30 units. There is wilderness camping permitted throughout the park and three rustic shelters are provided. This park is the first of BC's to be jointly managed by BC Parks and the Nisga'a Tribal Council. The Nisga'a Memorial Lava Bed Provincial Park commemorates the devestation of of two Nisga'a villages and more than 2000 Nisga'a deaths 250 years ago during a volcanic eruption. The 18,000 hectare park allows the visitor a chance to learn more of the Nisga'a cultural heritage and the natural history of BC's volcanic landscape. The lava plain is located in the Nass Basin Landscape, 100 km north of Terrace on the Nisga'a Highway. Located just south of Fort St. James on the shores of Stuart Lake, one of BC's largest lakes, this park offers the visitor a campground with facilities, excellent angling oppurtunities and the perfect site for water sports of all kinds. Open from April to October. The park is located 45 minutes north on Highway 16 at Topley. Babine Lake is BC's largest natural lake and an anglers paradise where cutthroat trout, rainbow trout and char are resident. Flyfishing and trolling are popular methods used. A 64 unit campground is provided with a beach, boat launch and moorage floats located nearby. The scenic reddish cliffs, abundant wildlife species and salmon enhancement projects in the nearby Fulton River and Pinkut Creek are just some of the parks features. The parks are located halfway between Prince George and Prince Rupert. Angling in either of the lakes for cutthroat and rainbow trout are popular pastimes. The Hazelton Mountains provide a majestic backdrop to the area. Visitors may wish to canoe through the lakes, hike the numerous trails, enjoy the beach and picnic areas or relax in one of the 20 campsites. Nearby Old Hazelton is home to K'San, a reproduction of a Gitskan Indian village. Traditional dances are performed here during the summer months. Created in 1975, Spatsizi Plateau Wilderness Park that includes Gladys Lake Ecological Reserve is the second largest park in British Columbia. The park encompasses an area over 3600 square miles and can be reached off the Stewart-Cassiar Highway. It takes in three major vegetation zones: alpine tundra, spruce-willow birch, boreal white and black spruce forest. Spatsizi Plateau and Eaglenest Range form the two broad physiographic regions. The Plateau ranges from 1600 m to 2000m, while the Eaglenest Mountains are rugged, steep and the highest peak is 2500m. Both the Spatsizi and Upper Stikine provide the river drainage. The Stikine River Recreation Area encompasses one of Canada's unmatched geological features. 80km of vertical sedimentary and volcanic rock canyon winds its way through the area giving home to the unnavigable Stikine River. This grand canyon is located in the rainshadow of the Coast Mountains. 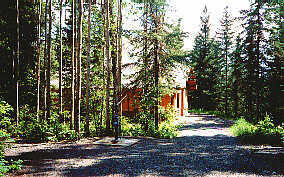 The recreation area is located on Telegraph Creek Road, 110 kilometres from Dease Lake. Extensive trails and a boat launch allow a pleasant combination of hiking and angling. The Tweedsmuir North Provincial Park is the largest in BC, encompassing more than 981,000 hectares. Water access from the Ootsa-Whitesail Lake Reservior is the most popular method of entry to the park. Boat launches are accessible by roads from the communities of Vanderhoof, Burns Lake and Houston. Charter float planes are available from Smithers and Burns Lake. 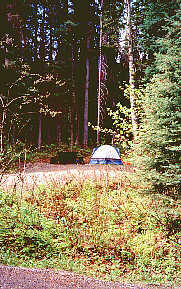 Wilderness camping is permitted in designated areas. Anchorages, tent sites, toilets and fire rings are provided. Extensive trails lead the nature enthusiast to the parks smaller lakes, notable features and vantage points. 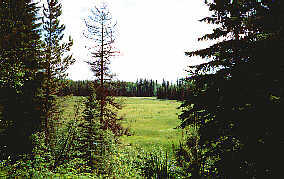 This 33 hectare park is located in the Bulkley River Valley 16 km from Smithers and 2 km from Telkwa. The 59 unit campground provides water, wood and toilets. A picnic area and playground are located conveniently nearby. This lake is popular with boaters, waterskiiers and anglers.